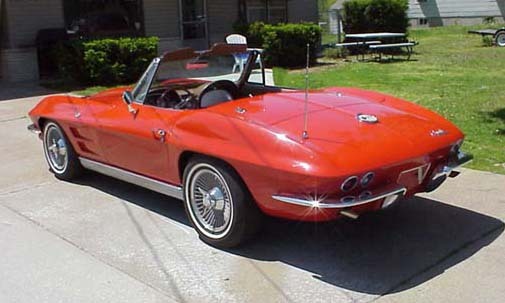 In 1963, the Corvette came with a new chassie including a new body design and independent rear suspension. The 1963 was also the first model that came as both a coupe and a convertible. The coupe was a Split Window. Knock Off wheel were optional. This was also the first model with air condition and leather seats. This was the second Corvette milestone.